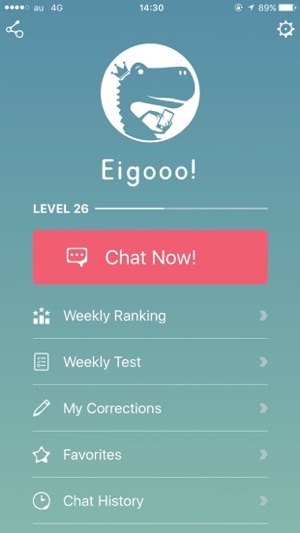 Eigooo helps you to build real, useable conversation skills in a casual chat-based environment. 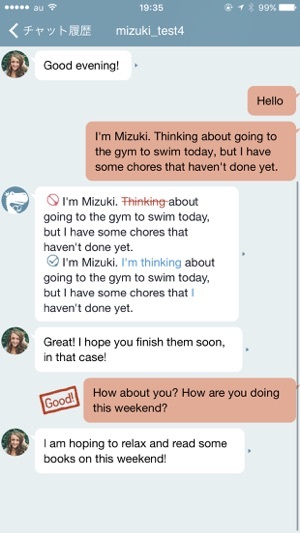 ・Chat one-on-one in English with a real human teacher. ・No appointment necessary. Chat whenever you want, 24 hours a day, 7 days a week. ・Get instantly corrected when you make a mistake. ・Get GOOD stamps and earn XP when you write good sentences. ・Challenge yourself with new vocabulary, themes, and word games every day. ・Save words and sentences that come up during chat for review. ▼3 months’ use equals 200 hours of classroom study. 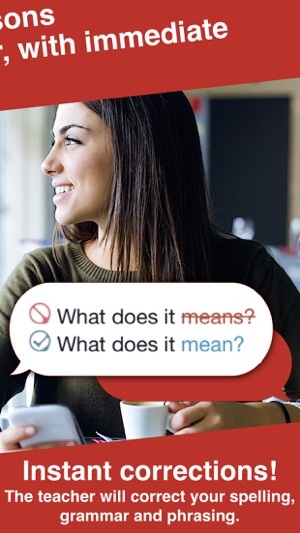 Research shows that by using Eigooo for three months, a user’s English grade on CEFR improves by one level on average. 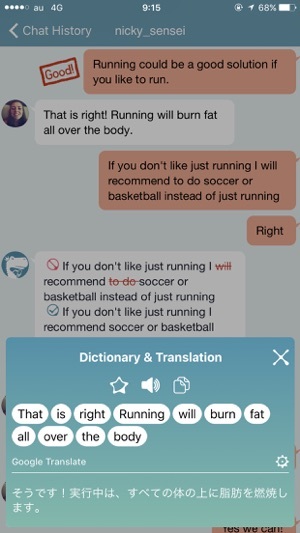 This shows that the chat feature, which is Reading/Writing/Correction repetition is a very effective way of studying English. *CEFR is a measuring criterion for foreign language proficiency level and it is said that 200 hours of classroom study is needed to improve in it by one grade or level. ・Account will be charged for renewal within 24-hours prior to the end of the current period. Fixes an issue where the original message was sometimes erroneously shown to be the same as the correction.